More Accor news (haven’t they been busy this month). This time its the announcement that they have introduced the first Pullman branded hotel in the UK with the opening of the Pullman London St Pancras. Accor are establishing this international upscale brand in the UK in a move to widen their hotel brand portfolio in the UK, which currently includes Sofitel, MGallery, Novotel, Mercure, Ibis, Ibis Styles and Ibis Budget. Officially opening in September, this property was once how to the Novotel St Pancras and has undertaken a comprehensive refurbishment which has seen the complete transformation of the hotel into one of London’s most contemporary hotels. COO of Pullman Europe Christophe Vanswieten commented “I’m delighted to annoucnce that we are opening our first Pullman Hotel in the UK, a market that will play a key role in our expansion plans in the coming years. Pullman has blogal brand araewness in progressm which we will build on in the UK, helping Accor’s presence in the UK’s upscale market, ensuring that we have a hotel brand to suit any individual’s requirements – from budget to luxury”. The new property is described by Accor as a cosmopolitan home of style and modernity and is situated around three minutes from King’s Cross St Pancras. 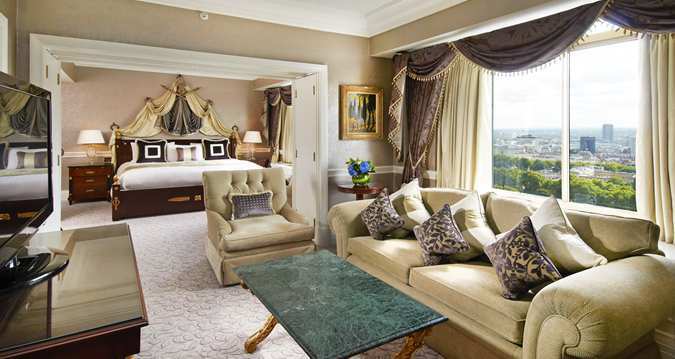 The hotel has 312 bedrooms with panoramic views of the London skyline and a restaurant and bar named Golden Arrow. It also includes plenty of business and event space, even featuring a 446 seat theatre for arts and corporate use. 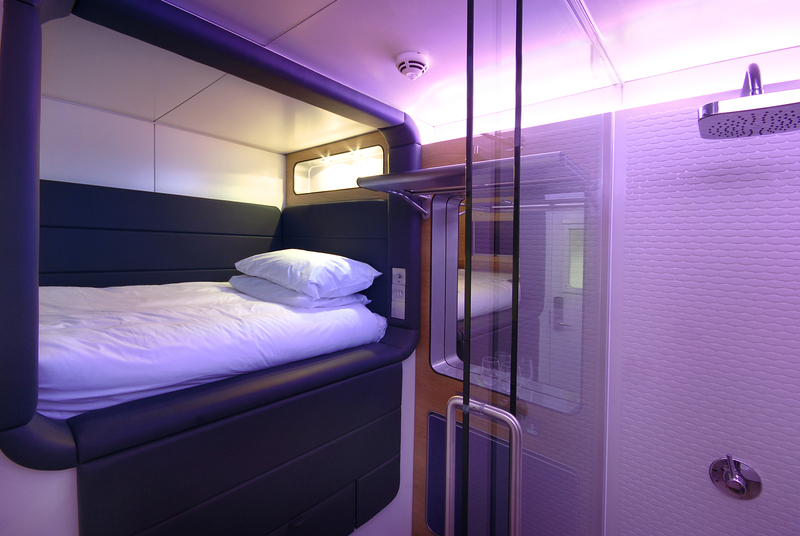 The Pullman brand offers several “signature services” which include Welcomer, Pullman bed, docking station, free Wi-Fi (I’m liking the brand already, of course! ), Connectivity Lounge in partnership with Microsoft, Nespresso services, Vinoteca by Pullman wine selection and Open Kitchen in the new restaurant. Xavier Louyot, SVP Global Marketing Pullman concludes “This new Pullman destination, which joins the network’s 67 other hotels and resorts around the world, offers a vibrant, in-style cosmopolitan guest experience and is designed to cater for both business travellers and leisure guests. Set in the heart of one of the top travel hubs of the globe, it is ideal for those travelling to the continent or visiting London”. 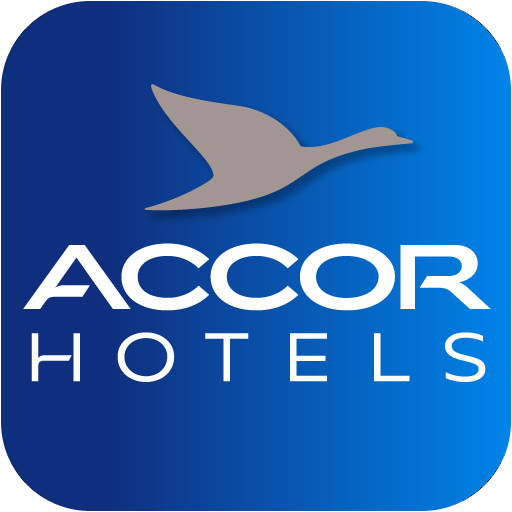 Accor have certainly been busy this year with new hotel openings and expanding their brand portfolio and coverage which is extremely positive news, especially for the UK. What strikes me is that there are so many new hotels springing up in London or all shapes, sizes and prices. This is only going to increase competition in what is already a very competitive market. Maybe we will see the average city rate drop in the next couple of years – time will tell. 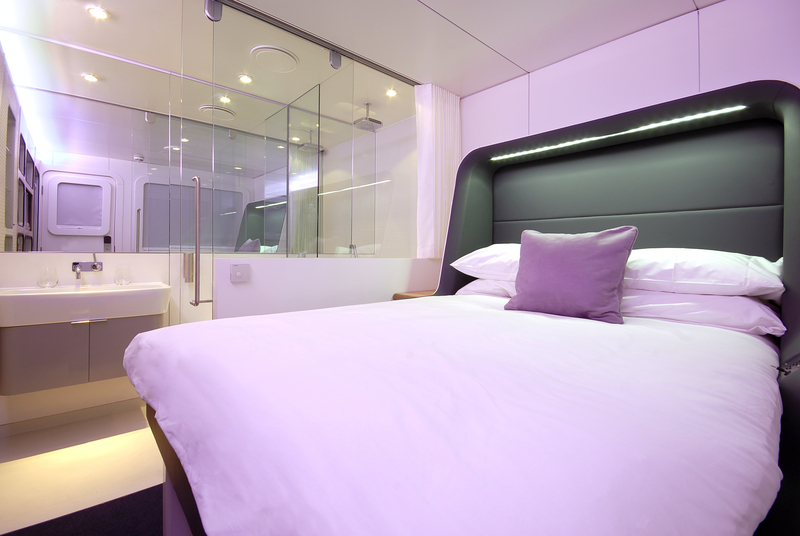 I wouldn’t usually choose to write a post about an Ibis hotel launching in Hong Kong…. but this one deserved a special mention as its opening marked Accor’s recent news that they now have more than 100,000 rooms in Asia-Pacific with the opening of this hotel. That’s a lot of rooms and clearly shows Accor is placing a huge emphasis on driving it’s brand into a more dominant position outside Europe. The Ibis Hong Kong Central and Sheung Wan is the brand’s flagship property in Asia introduces a vibrant, modern new direction for ibis intended to appeal to the growing number of independent leisure travellers in the region. The opening of the hotel is of significant importance to the ibis brand’s parent company, Accor, which now operates more than 100,000 rooms in the Asia-Pacific region. The 550-room property is one of the first in Asia to showcase the brand’s new identity, currently being rolled out across the world and offers quality accommodation and the peace of mind of staying with an international chain. Bright, fresh design is complemented by a young and energetic team that will deliver all the essential services of a modern hotel, around the clock. The hotel offers a full eight hours of breakfast service beginning at 4.00 a.m., with drinks and snacks served at the 24-hour bar. Complimentary Wi-Fi Internet is available throughout the hotel. In addition, a 15-minute satisfaction promise is given to all customers for requests they make through the front desk. 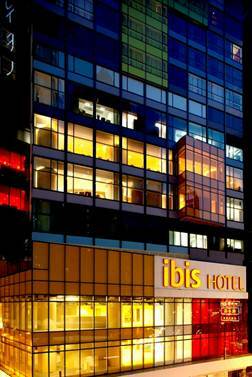 Ibis Hong Kong Central and Sheung Wan features three room types; Studio, City View, and – offering spectacular views of Hong Kong’s famous harbour – the high-level Harbour View rooms. Light wood timber floors, 3-metre high ceilings and large bay view windows give the rooms a spacious, modern and inviting feel. 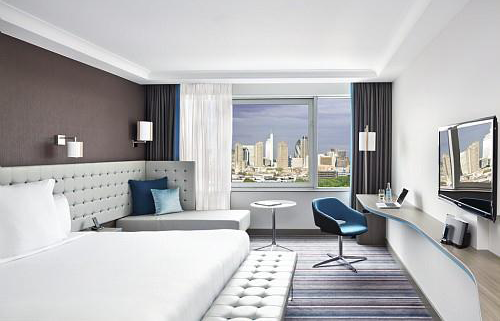 Free Wi-Fi, 32-inch LCD televisions, hot drink stations and on-demand wake-up calls complete in-room facilities. A bright, open-plan décor invites guests to explore the hotel, including the airy lobby and the bar and dining areas that lie beyond. Vibrant burnt orange, splashes of red, crisp white and caramels create bright, contemporary interiors. Two dining options cater for guests day and night. Le Bar, which neighbours the lobby and reception on the fifth floor, offers snacks and drinks, and has a full bar that never closes. Attention is on catering to the often-unpredictable schedules of independent travellers. The Early Riser menu served at Le Bar from 4.00 a.m offers pastries and other continental options, hot drinks and juices and is conveniently available until 6.30 a.m. Taste is an open, breezy restaurant on the sixth floor, offering flavours typical of Hong Kong. Up to 20 local authentic dishes are offered, and include staples such as dim sum, baked rice dishes and noodles alongside Western favourites. An expansive all-you-can-eat buffet breakfast is also offered. Travellers keen on exploring their destination will discover Hong Kong’s unique heritage right on their doorstep. The hotel is ideally situated in Sheung Wan, where heritage blends with bustling new enterprise. Streets filled with dry seafood stalls sit next to hip coffee shops. Historic sites include Man Mo Temple; Possession Point, where British fleets first landed in Hong Kong; as well as the neighbourhood’s elegant cafes and bars on nearby Hollywood Road. The restaurants and lively nightlife of Central’s Soho district is also a short walk away. Over the past twelve months I’ve been watching with interest how budget hotel chain Tune Hotels have been expanding. Originally when I learnt about this brand I wondered how it would fit into such a competitive budget hotel environment in the UK. Launched as a Malaysian brand, I saw the ethos of the brand developed very strongly in its homeland, but did wonder what the reaction would be when properties started popping up here. Back in March I sampled the brand for the first time, completely out of interest, and was incredible impressed with what I found. Six months on, Tune Hotels have opened more UK properties and their reputation and brand is really spreading. So last week I decided to re-visit the chain and went to stay at their newest London offering in the heart of Paddington. I found this a very welcoming property with extremely knowledgable and efficient staff (something I’ve not experienced at similar grades of hotel or ‘budget’ brands) and I was given a very genuine and warm welcome. Booked into a had a standard double room, I decided to check out the public areas, which to be honest, didn’t take long. For those who’ve not discovered this brand yet, the idea behind Tune Hotels is to offer a no frills services, so as you can imagine public areas are fairly small and without extensive facilities. However, this property had a snack bar located in the lobby, along with a comfortable seating area and public computers for guests to use. 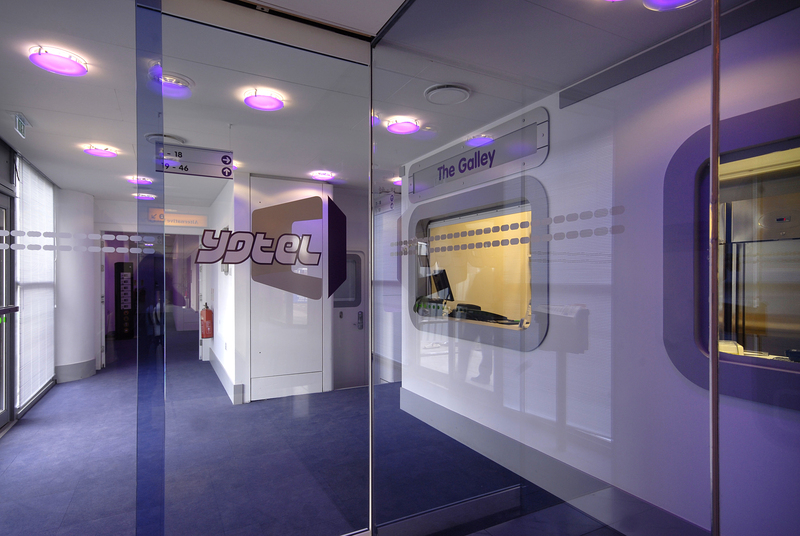 Being a new opening, everything was very clean, tidy and well maintained. The room itself is where I think Tune Hotels have captured the market perfectly. 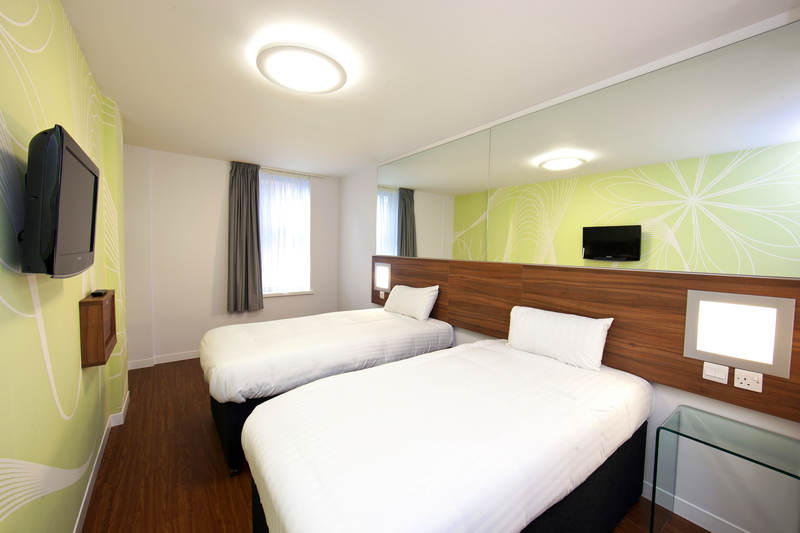 For a budget hotel, the rooms are actually very generous in size and finished to a high standard. 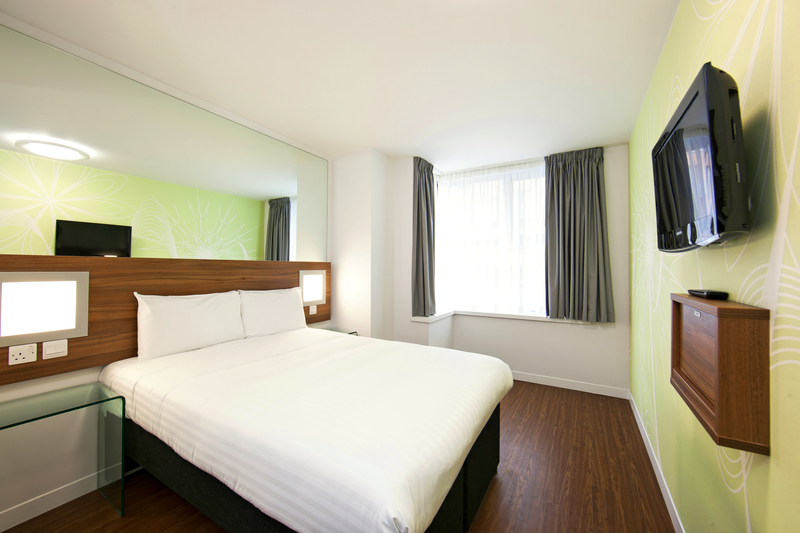 They have concentrated on the key elements that make up a good quality hotel bedroom. A very comfy bed with fresh crisp linen, good shower, contemporary decoration and finish along with high quality television and Wi-Fi (at a supplement). If you get these basics right, customers will like your offering. For the average rate, the rooms at this property are fantastic value. I’m also very impressed with the hotels TripAdvisor ranking. Given it’s not been open a year yet, they have steadily climbed up the city ranking to number 99 from over 1000 listed hotels. This is very impressive and the reviews really summarise what I found – great service, great quality at a great price. If you do take a look, you’ll also see that the hotel are very responsive on Twitter, thanking guests for comments and responding professionally to any negative comments. I’m sure the high quality of service is a huge factor in why this brand is becoming so popular so quickly. Just because your hotel chain operates in a budget and no frills environment, it doesn’t mean to say service levels should not be taken seriously. If anything, this is the one area you have the chance to add extra value to your guests stay. A lesser known brand message behind Tune Hotels really goes hand in hand with what you see at each property. The General Manager of the Paddington hotel I visited explained to me that the hotels aim to run as environmentally friendly as possible. Of course, as with many modern hotels, initiatives such as solar panels generating power to heat water, help to achieve this. But a key reason Tune Hotels offer this no frills service is to reduce waste – they don’t generate rubbish from left over food and half used toiletries left behind in bathrooms. It’s optional to have towels, shampoo and the like where guests are asked to pay a supplement, meaning less waste and in my view, giving the consumer the choice in exactly how they want to stay. This doesn’t restrict a guests choices – it adds a level of flexibility in their hotel booking. So going back to the title of this post, why do I claim that Tune have captured a new budget market? Well, maybe I’m a bit early in this claim, as the public need to have the time to experience and understand the brand, but here’s my thinking. When you look at pricing and room options, I would say that Tune Hotels is directly comparable to chains like easyHotel and some small guesthouse accommodation you find in large cities. Except, this is not what you experience at Tune Hotels. 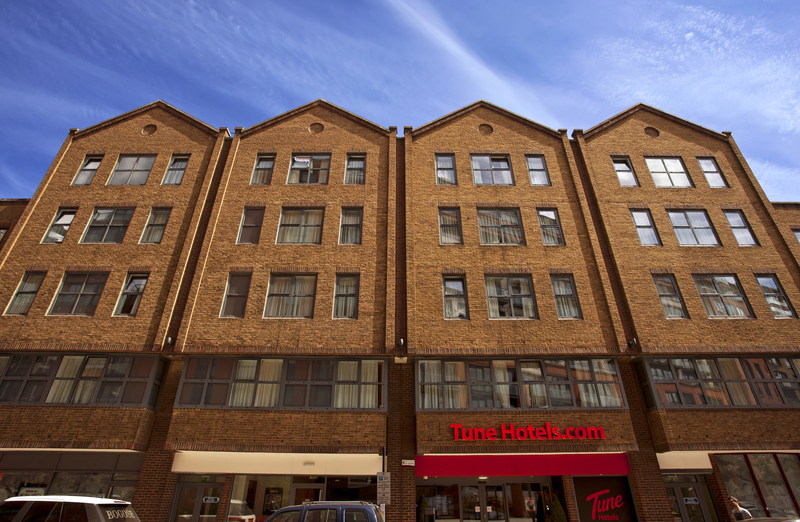 With Tune Hotels, you get choice, quality and value for money. When I book one of their hotels, I know what to expect. I know that I am actually going to want to spend time in my room, not want to get checked out as soon as possible and regret the day I was too budget conscious. This is where Tune Hotels have found an untapped part of the market. Their service and room quality coupled with incredibly competitive prices means they are in a great positive to expand and dominate the budget sector. I always like to highlight how hotel chains are using social media to drive business, and today I found that Holiday Inn are promoting a new giveaway though Twitter, so I wanted to share what they are doing with you. Of course, with over 1,200 hotels worldwide, Holiday Inn is the most widely recognised lodging brands in the world so any promotion they run socially will instantly grab the attention of thousands of followers, but the guiding principle of interaction is an interesting one to follow and can be re-applied in different levels. InterContinental Hotels Group today announced the Holiday Inn Resort “Extra Credit” offer which rewards guests with a $50 Resort Credit to use on property when they stay at least two nights Sept. 4 through Nov. 30, 2012, booked through their brand website. The “extra credit” can be used toward breakfast, lunch, water ski rentals, bike rentals and more. For each additional night stayed, guests will receive another $25. 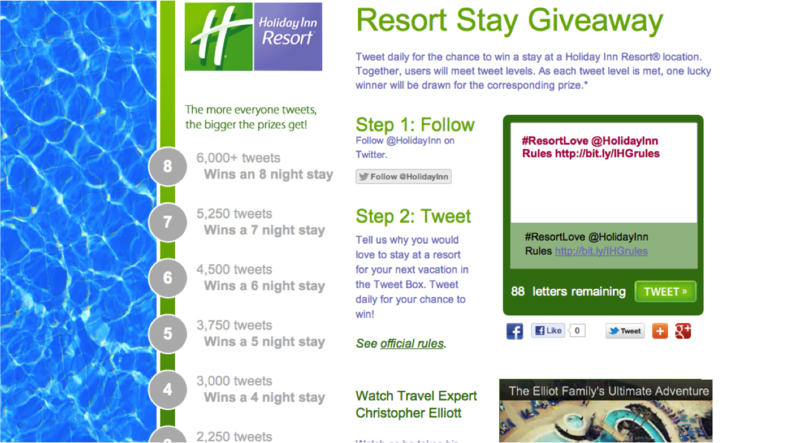 Holiday Inn are using Twitter to provide more interactive value to their brand followers by launching their “Resort Stay Giveaway”. Prizes range from a one night stay up to an eight night stay at any Holiday Inn Resort location in the U.S., Mexico and the Caribbean. Quite simply, Holiday Inn are encouraging interaction – the more tweets, the bigger the prizes get. This is a very clever way to get your followers tweeting about your brand. Of course, IHG are the largest hotel group around so this is an inexpensive promotion for them, however the ideal is the same even if you are a small independent hotel. Encourage interaction through your social sites with different offers (these don;t even need to be giveaways, they can be simple communication). Everyone likes an offer and it motivates people to get involved and talk about your brand. London Hilton on Park Lane has increased its visitors from the top five Gulf Cooperation Council (GCC) countries by 21.34% (2011 vs. 2010). UAE is the top producing market with a 33% increase year on year (YOY), followed by Saudi Arabia and Qatar, which has seen a growth increase of 104% YOY. 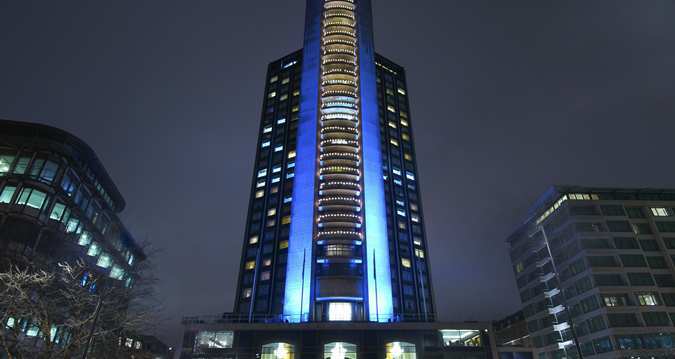 One in four guests welcomed at London Hilton on Park Lane is from the Middle East (17% of the total occupancy in 2011) and a third of those guests are from the UAE. Recent VisitBritain research has found that visitor numbers from the UAE increased by 11% in 2011 (vs 2010). According to London and Partners, from Q1 to Q3 2011 total spend was £259 million (Saudi Arabia and UAE) with an average spend of £1770 per person, compared with £600 average for other overseas visitors. Shopping – There is a passion amongst visitors from the GCC to shop while on holiday in London. This was made clear from research undertaken by VisitBritain during 2010 – in particular there was an appetite for dedicated shopping holidays that gave access to brands and products that are not readily available at home, such as Harrods, Harvey Nichols and Marks & Spencer. Welcoming and ‘safe’ environment – London is perceived to be a safe and welcoming destination by ME travellers compared to other European countries. This is also helped by a simple visa process and no significant language barriers. There is a perception that London is cosmopolitan, diverse and open to all cultures resulting in Middle Eastern travellers feeling comfortable and respected. Historic family ties – Often Middle Eastern visitors have spent time at a British University earlier in life and feel welcomed and at home in the UK. Families will frequently stay while visiting someone who is attending a British University. Climate – Middle Eastern guests often plan their visit to escape from incredibly hot summer temperatures in the GCC, enjoying London’s much cooler climate. Socialising & Entourage – Sheiks from Middle East regions commonly own residences in London and often their entourage will stay in nearby hotels. London’s wide range of restaurants and coffee shops offer a varied nightlife and social scene for visiting guests. Medical Tourism – As Europe’s leading medical tourism ‘hub’, London has around 20 private hospitals and NHS hospitals with private patient units. The square mile of London around Harley Street alone is the base for over 1,000 leading specialists in all areas of medicine. Guests are known to visit London specifically for medical reasons, as well as building this into a wider schedule, often recuperating in hotels following medical procedures. No one segment from the ME/GCC market is the same and the market is defined by different socio-economic backgrounds. In spite of this,there are general patterns associated with geographic origin, for example there is a high population of Saudi Arabian guests on southern Park Lane, while Kuwaiti guests tend to prefer Edgware Road locations. There is an increasing trend for travellers to use their time in London for a full range of activity, not solely leisure. Middle East guests are increasingly organised with the time they spend in London, with children being sent to summer schools in Regent’s Park, business meetings, property viewing, shopping, medical visits – as well as entertainment. Families are know to also use managers to organise their time while in London, with our hotel management working directly to assist. Of course, it’s all very well researching this kind of data but the key for a hotelier is to respond to the facts. This is something the London Hilton on Park Lane is doing very well be implementing some simple changes such as providing dedicated Guest Relations teams with Arabic speakers, adding Arabic TV channels and newspapers and even 24 hour room services from an Arabic menu. It’s understanding your market that will drive your occupancy and create loyal and satisfied guests. Every guest, regardless of nationality, wants to feel at home and welcome, so if your addressable market points clearly to one direction, respond to the need. Right on the doorstep Hilton are competing with so many hotel chains, even specialists in Middle East tourism such s Jumeirah, so taking the time to understand their customers and implementing chance is a game winner for such a hotel as this. Thanks to London Hilton on Park Lane for sharing the research with Hotel Insight.